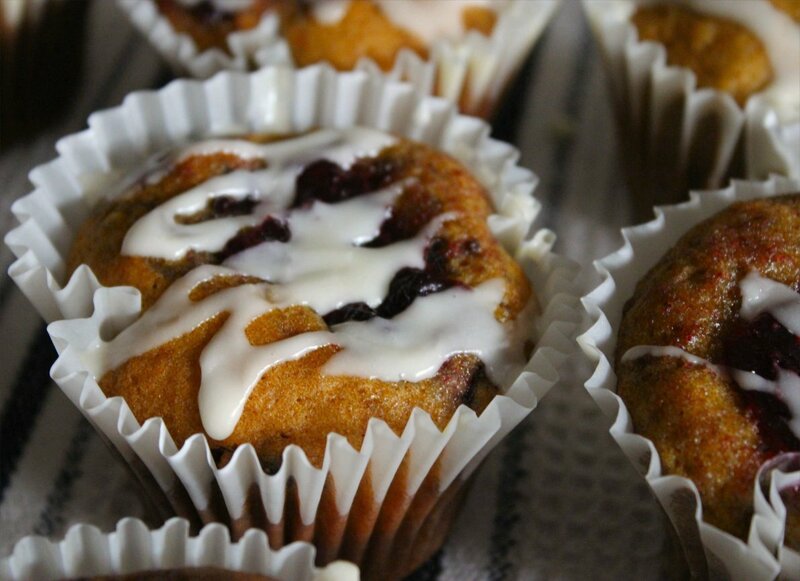 Pumpkin & Cranberry for the win! How do I describe these adequately? I don’t think I can. You really have to bite into one to fully appreciate it. 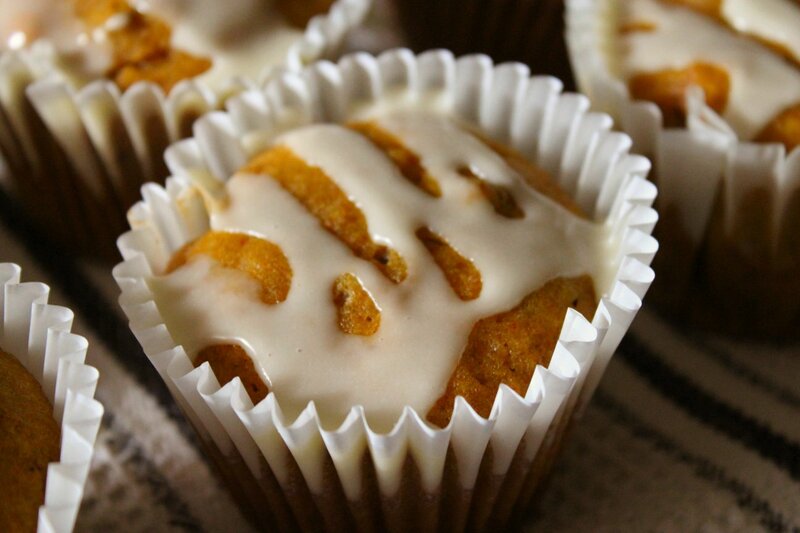 They’re soft and delicate with a warm, robust pumpkin flavor. There’s a subtle scent of spice that leaps forward when you raise it to your lips, then the aroma of orange from the glaze leaps for joy just as you sink your teeth into this fall gem. I mean really. They are that good. Can you smell that? 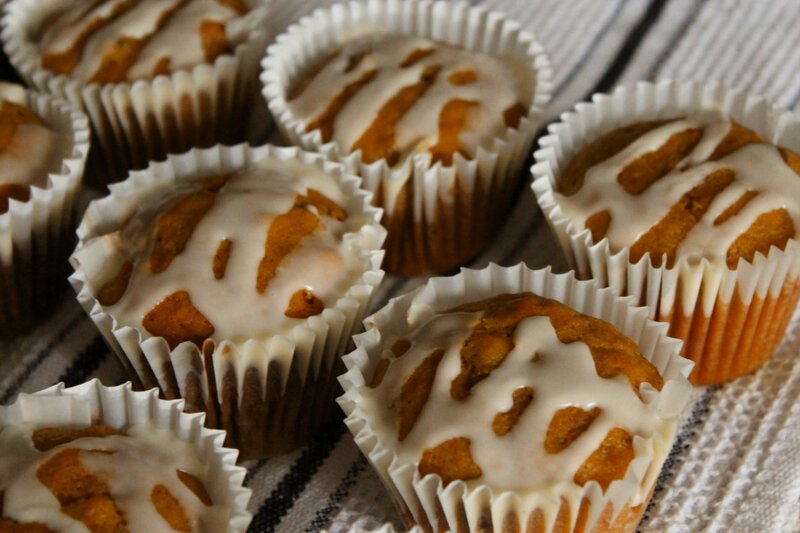 It’s spice and pumpkin and cranberry and orange. I take it back. These are not good, they’re glorious. And flavorful. And confirmation of why I love the pumpkin & cranberry combo and all things fall. Speaking of fall, I’ve been on a canning kick. Earlier this week, I put up my second batch of cranberry goodness. It’s thick and loaded with fresh cranberries, dark sweet cherries and raspberries. I’m not sure whether to call it jam, preserves, or cranberry sauce on steroids. Whatever it is, it’s tasty. 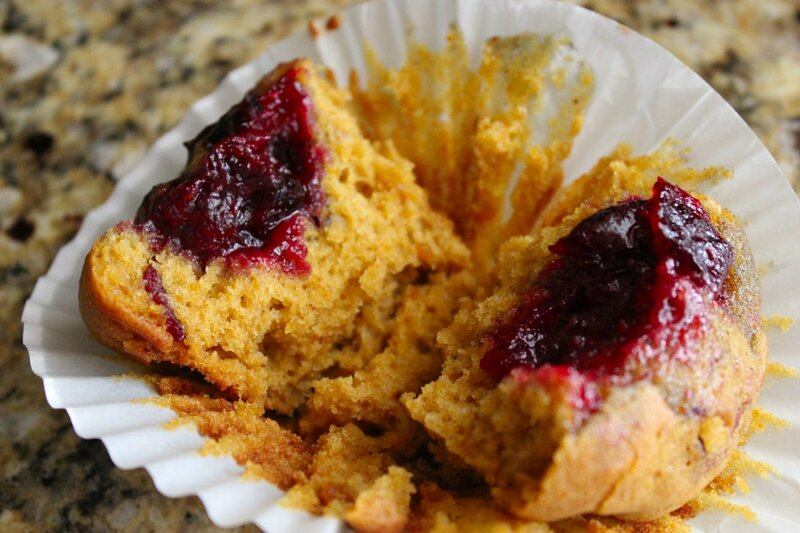 While I was mixing up these muffins, it suddenly hit me that if dried cranberries are good, more cranberries are better. In the spirit of “more is more” I spooned a heaping teaspoon onto the top of half the muffins just before I popped them in the oven. Here’s what happened – and I hadn’t even glazed it yet! Holy smokes, y’all. I’m in love with this muffin. I’m sending Kirsten a jar of cranberry goodness as part of our Great Jelly Swap this fall. It’s not just that I need her approval for messing with her recipe a little. It’s that I NEED her to experience it firsthand. Because friends & food go together like Cake & Ice Cream. Fritos & Chili. Cheese & Crackers. Eggs & Bacon. Butter & Popcorn. Spaghetti & Meatballs. Mashed Potatoes & Gravy. What are your favorite food combos? Any weird ones? I’d love to hear! Should I go first? I like salt & vinegar chips on bologna sandwiches. 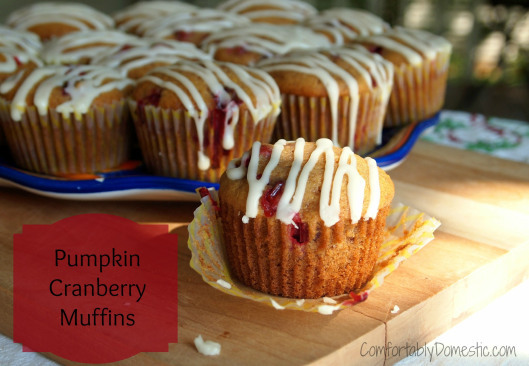 Kirsten’s muffins paired with my cranberry whateveritis; yum!